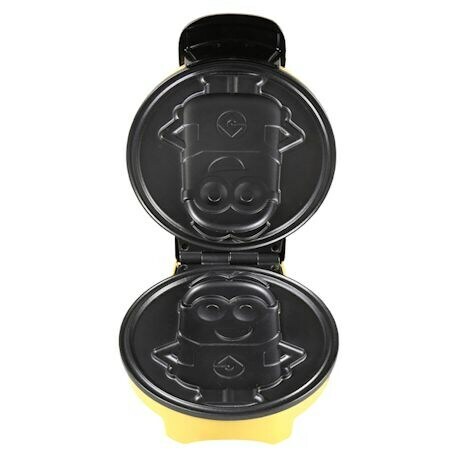 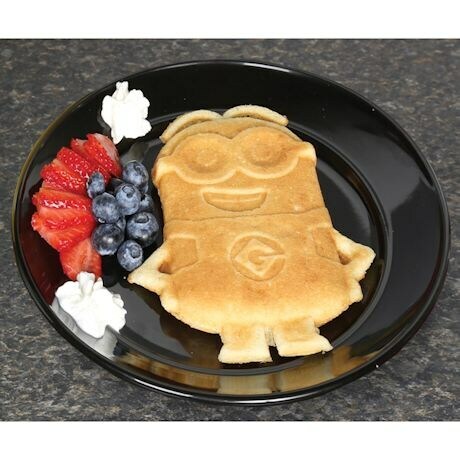 Delight your kids and serve up waffles that are shaped like Dave, the most adorable minion in the movies, with this fun and easy-to-use Minions Waffle Maker. 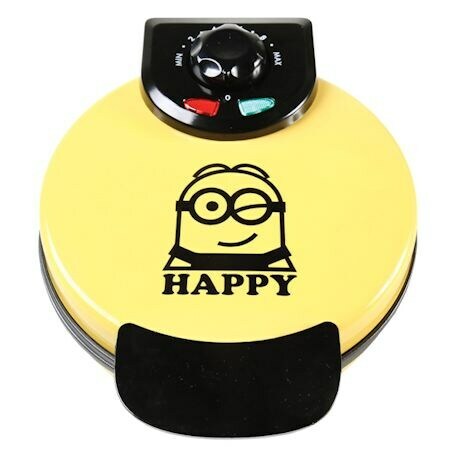 Bright yellow machine features a cute black graphic of a winking Dave and the words "Happy". 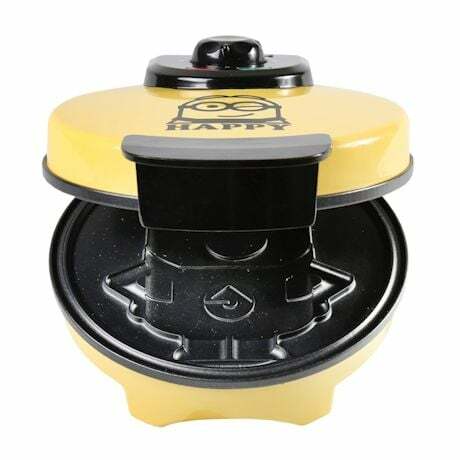 It has coated non-stick plates, regulating thermostat, weighted lid to ensure perfect browning and dual indicator lights. 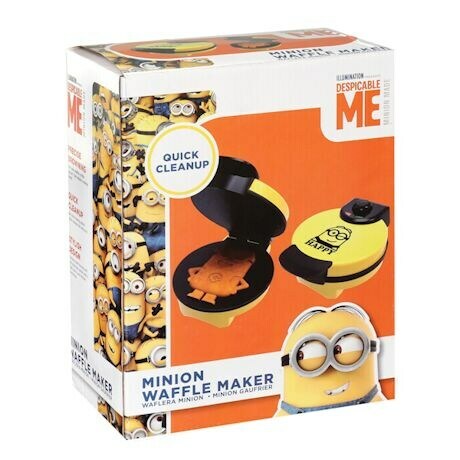 Each tasty, fluffy and crunchy waffle that it makes looks just like Gru's not-at-all-evil sidekick, right down to the expressive eyebrows! 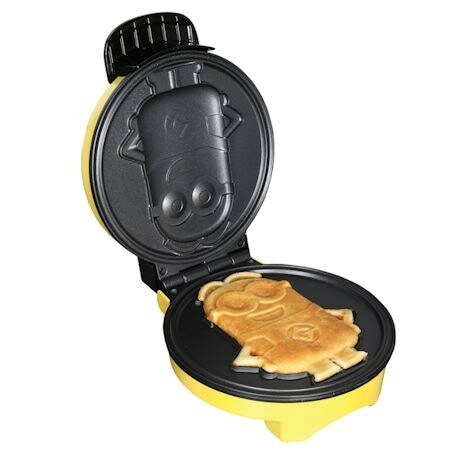 The nooks and crannies are perfect for holding syrup. 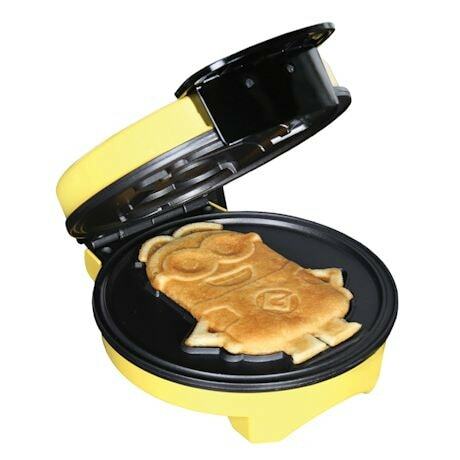 You can also cook pancakes or eggs inside that are as fun to look at as they are delicious to eat. 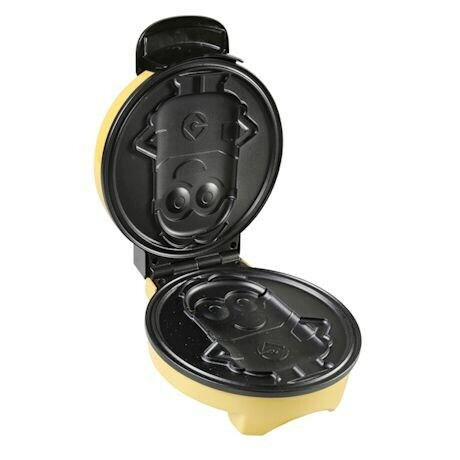 A built-in cord wrap makes the appliance easy to store when it is not in use, and upright storage saves counter or cabinet space. 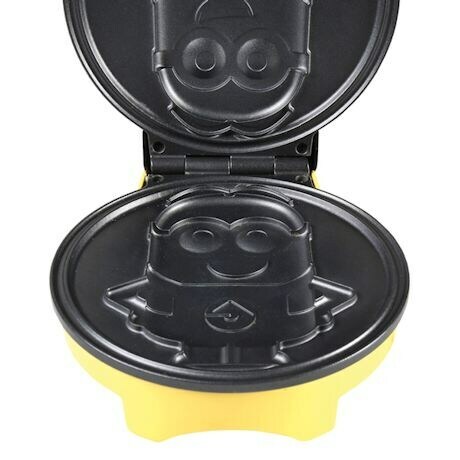 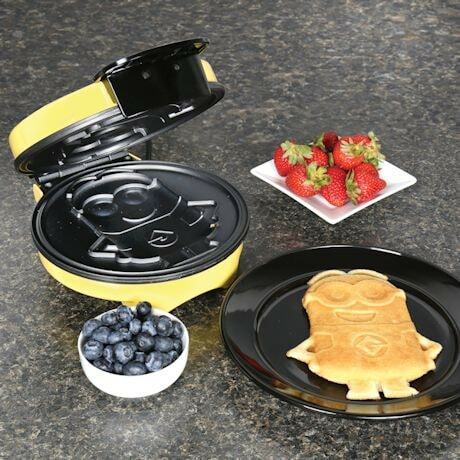 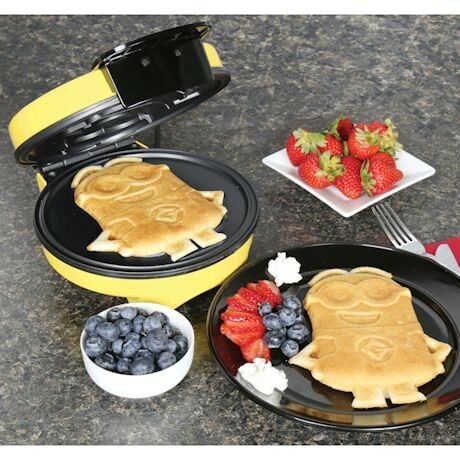 An officially licensed appliance, the Minions Waffle Maker is the perfect housewarming, birthday or holiday gift for any Minions film fan, or parent of little fans. 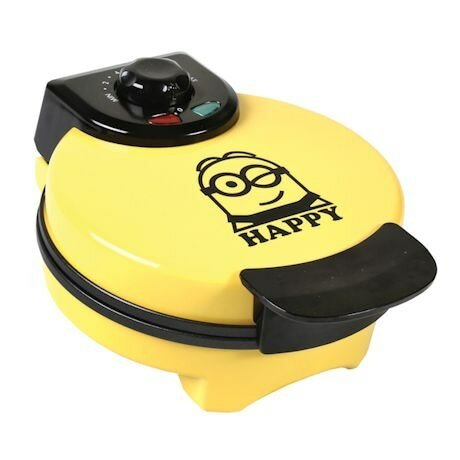 Device measures 7.75" x 9.5" x 4.75". 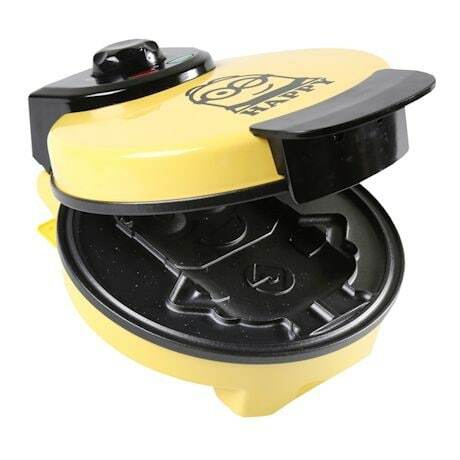 UL Listed.